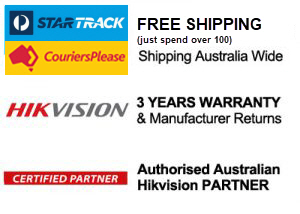 Welcome to our Hikvision Turret Camera Range. 2.8mm Lens – Wide angle – most popular. Part of Hikvision’s 2-Line range of cameras, the HIK-2CD2342WDI12 is an outdoor EXIR turret network camera that produces exceptional 4MP high resolution video. Providing an ideal combination of features and affordability, this camera includes 120dB true wide dynamic range and supports H.264+ intelligent compression which allows output of an incredibly well balanced image and reduces bandwidth/storage requirements by up to 50%. With inbuilt EXIR technology delivering unparalleled clarity at night for up to 30m and with a 12mm fixed lens, this camera is best suited to focus in on a specific area from a short distance. We only have very small quantities of this 4MP camera left. 6mm lens. Part of Hikvision’s 2-Line range of cameras, the HIK-2CD2342WD-I6 is an outdoor EXIR turret network camera that produces exceptional 4MP high resolution video. Providing an ideal combination of features and affordability, this camera includes 120dB true wide dynamic range and supports H.264+ intelligent compression which allows output of an incredibly well balanced image and reduces bandwidth/storage requirements by up to 50%. With inbuilt EXIR technology delivering unparalleled clarity at night for up to 30m and with a 6mm fixed lens, this camera is best suited to focus in on a specific area from a short distance. Part of Hikvision’s 2-Line range of cameras, the HIK-2CD2342WD-I6 is an outdoor EXIR turret network camera that produces exceptional 4MP high resolution video. Providing an ideal combination of features and affordability, this camera includes 120dB true wide dynamic range and supports H.264+ intelligent compression which allows output of an incredibly well balanced image and reduces bandwidth/storage requirements by up to 50%. Part of Hikvision’s 2-Line range of cameras, the HIK-2CD1H41WDIZ is an outdoor motorised varifocal IR turret camera that produces an exceptional 4MP high resolution video. Providing an ideal combination of features and affordability, this camera includes 120dB true wide dynamic range and supports H.264+ intelligent compression which allows output of an incredibly well balanced image and reduces bandwidth/storage requirements by up to 50%. With inbuilt EXIR providing up to 30m visibility at night and with a 2.8-12mm motorised vari-focal lens, this camera offers great flexibility. Hikvision’s HIK-2CE56F7TIT3Z is a Turbo HD Outdoor Turret Dome camera that produces exceptional 3 megapixel high resolution video images over coaxial cable. 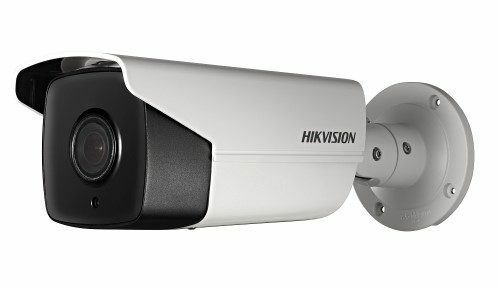 This camera is part of Hikvision’s TVI 3.0 range and provides an ideal solution for the upgrade of existing analogue sites to high definition surveillance without the need to re-cable. With a 120dB true wide dynamic range this camera outputs an incredibly well balanced, high resolution image that has to be seen to be believed. Additionally. the inbuilt EXIR technology delivers unparalleled clarity at night for up to 40m and with a 2.8-12mm motorised vari-focal lens, this camera is great for covering wide areas providing clear focus on the detail that is really required. The TVI 3.0 generation has been rigorously tested to deliver 24/7 video surveillance with an unparalleled clarity that can only be provided by a Hikvision Turbo HD camera. Part of Hikvision’s 2-Line range of cameras, the HIK-2CD2322WD-I2 is an outdoor EXIR turret network camera that produce exceptional full-HD 1080p real-time video. Providing an ideal combination of features and affordability, this camera includes 120dB true wide dynamic range and supports H.264+ intelligent compression which allows output of an incredibly well balanced image and reduces bandwidth/storage requirements by up to 50%. With inbuilt EXIR technology delivering unparalleled clarity at night for up to 30m and with a 2.8mm fixed lens, this camera is great for covering a wide area so you can focus on the detail you really want. Part of Hikvision’s 2-Line range of cameras, the HIK-2CD2322WD-I4 is an outdoor EXIR turret network camera that produces exceptional full-HD 1080p real-time video. Providing an ideal combination of features and affordability, this camera includes 120dB true wide dynamic range and supports H.264+ intelligent compression which allows output of an incredibly well balanced image and reduces bandwidth/storage requirements by up to 50%. With inbuilt EXIR technology delivering unparalleled clarity at night for up to 30m and with a 4mm fixed lens, this camera is great for covering a wide area so you can focus on the detail you really want. 4mm Lens. Part of Hikvision’s 2-Line range of cameras, the HIK-2CD2342WD-I4 is an outdoor EXIR turret network camera that produces exceptional 4MP high resolution video. Providing an ideal combination of features and affordability, this camera includes 120dB true wide dynamic range and supports H.264+ intelligent compression which allows output of an incredibly well balanced image and reduces bandwidth/storage requirements by up to 50%. With inbuilt EXIR technology delivering unparalleled clarity at night for up to 30m and with a 4mm fixed lens, this camera is great for covering a wide area so you can focus on the detail you really want.